Address: 28 km west of the city of San Isidro del General, San Jose. 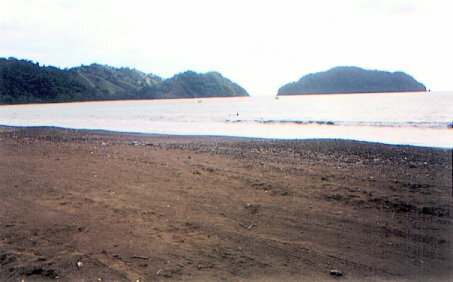 Dark sand beach, with strong, criss-cross swell, is 1.8 km long. 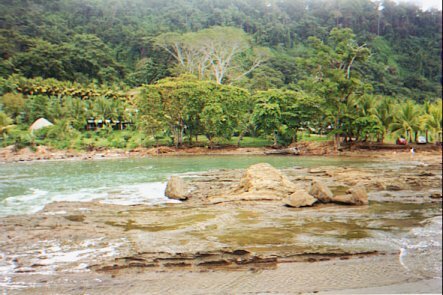 The presence of rocks during low tide and seaboard currents make this beach dangerous for bathers. 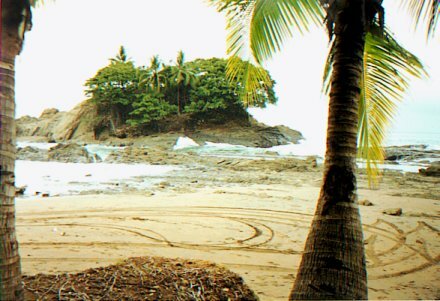 Address: 14 km south of Dominical. 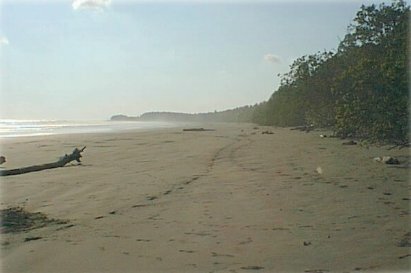 Beach 6 km long and considerably wide with soft swell, and grayish compacted sands. 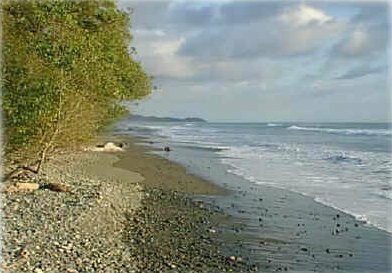 Address: 16 km south of Dominical Beach inside The Ballena “Wahales Marine National Park”, Osa, Puntarenas. 4 km long. 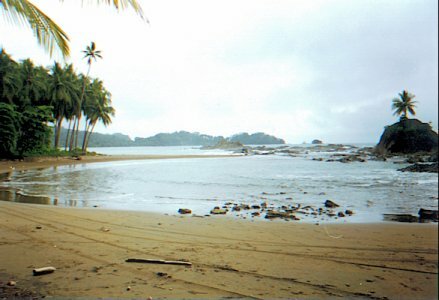 One of the best beaches in ttie coastal area as a bay with very little swell, ideal for recreation and water sports. White sand and clear water. 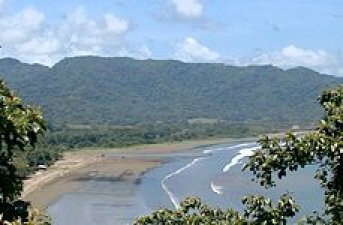 Address: South of Boca Brava, 21 km from Palmar Norte. 6.5 km long. Suitable for walks, yet not for bathing. 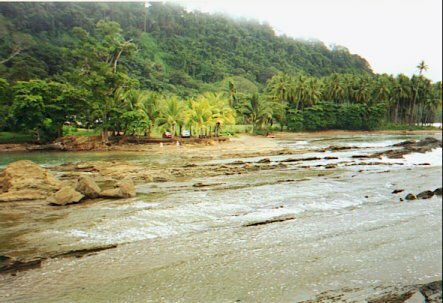 The southern tip is known as Boca Brava (Angry Mouth) Beach. 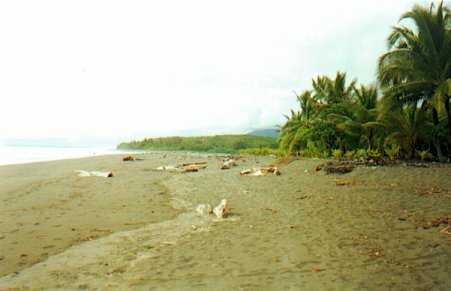 The beach is wide with a very damaged vegetation cover. Certain parts are suitable for professional surfing. 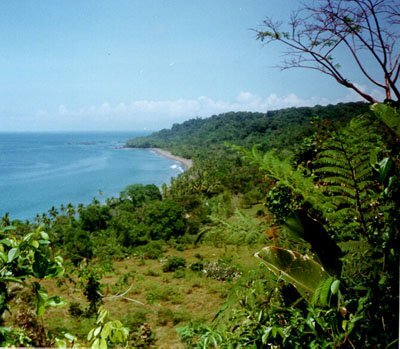 Address: 15 km NW of Cortes city, Osa, Puntarenas. 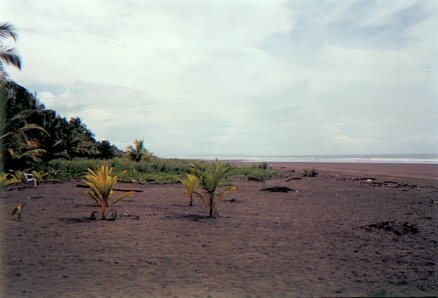 This 2.5 km long grayish sand beach is part of the Grande de Ten-aba River delta. 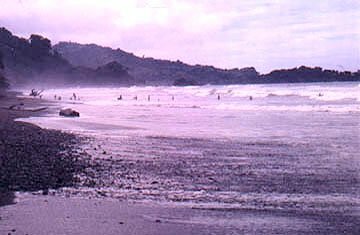 The width of the beach gives it high scenic value and it is suitable for surfing and sailing. 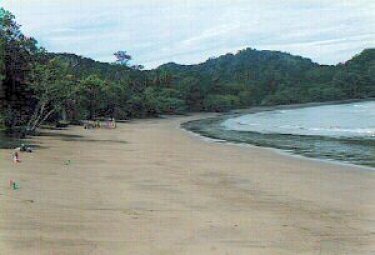 Address: Exactly NW of Osa Peninsula, 1 hour and 30 min. by waterway from Sierpe. Adequate for fishing and recreational travel. 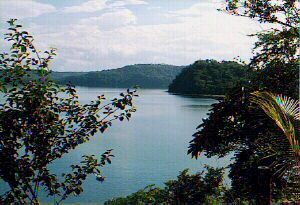 According to the legend, Sir Francis Drake, the pirate, had his hideout in the bay; from here the name. 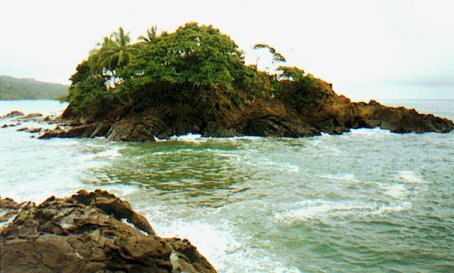 It is said that he hid his treasures in a cave on Violin Island. 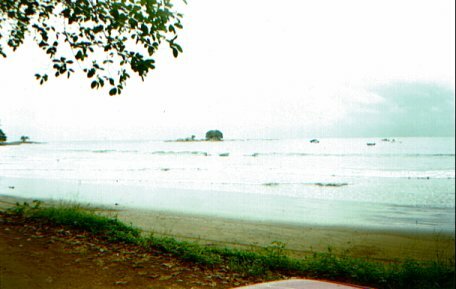 Address: South of the city of Quepos, Puntarenas. 8.5 km long. Grayish sand, strong swell. No type of service offered to visitors, except for a trail along the entire beach. 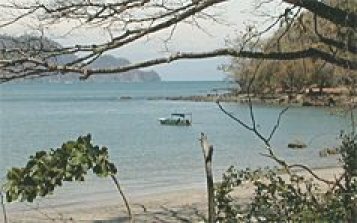 Address: 5 km north of Pavones Beach, Puntarenas. Beach with fine dark gray sands, crystal clear, blue waters. 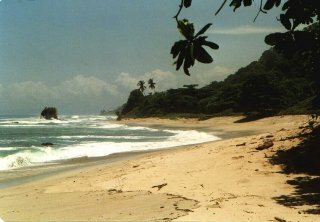 With a peaceful swell and abundant vegetation, this beach is approx. 11 km long. 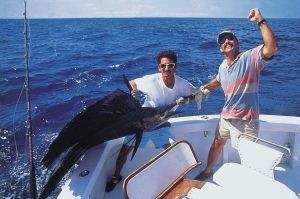 Address: From Golfito (Rodeo) to the community ofConte and thereafter 18 km south to Pavones, Puntarenas. Light brown sands, a beach for suffers. It is 1.5 km long, worldwide known for its- very “long wave”. 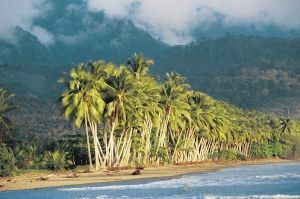 One of the biggest attractiveness in Costa Rica is the great variety of beautiful beaches of white sands and crystalline waters, which are visited by thousands of people every year, in search of amusement and places offering beaches to enjoy the sun and the waves, to relax and to escape from the tensions of the daily life.